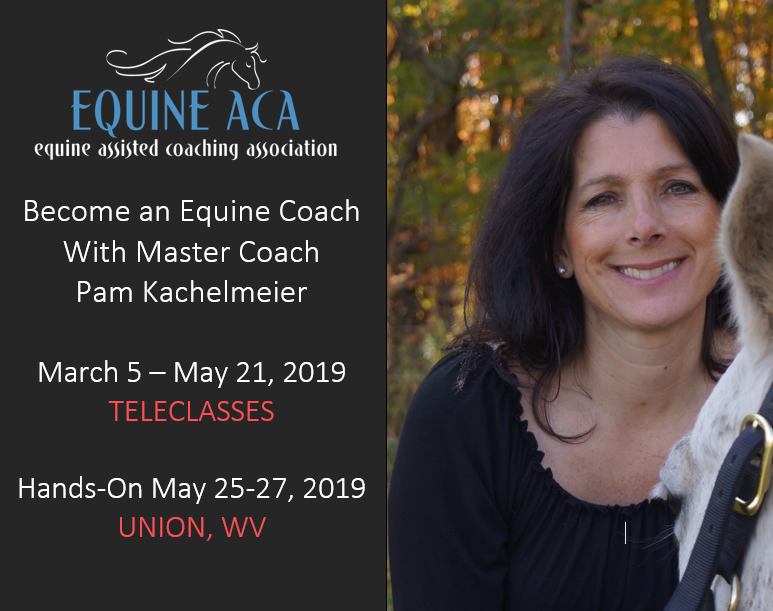 As a master equine coach, Pam trains and mentors horse lovers, healers, coaches and therapists to tap into their unique gifts, making an impact through a CUTTING EDGE modern day modality, that helps clients effectively dissolve their problems getting accelerated wanted results. There are people looking for you to help them live life with greater options. Why? Because NOW is your time! Now more than ever, there are massive changes underway in the world causing a ripple effect. A new paradigm of living life is evolving. People are confused and seeking direction and transformation, to realize that they are not alone and wanting an overall sense of peace and well-being, that want to be inspired and supported. There is enormous opportunity for you to be a part of this new way of living. When equine assisted coaches realize they’re entering a new frontier, their creative imaginations and full self-expression emerges. Imagine the satisfaction of knowing you are truly creating impact…doing what you love with heart. Visit https://equineaca.com/become-an-equine-coach/ for registration and details about the program.